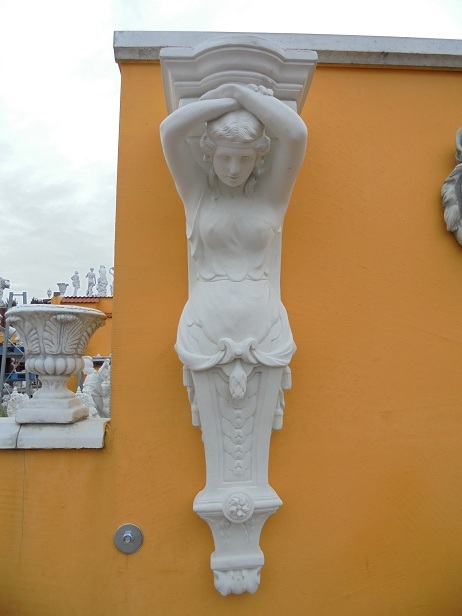 Wonderful balcony wall support bracket console "man"
On the back are already two hole openings, top of the figure that you can versehen.An 2 threaded rods / rebar at least 12 mm thick and at least 10 inches deep recessed into the wall. For solid walls can be pegged, or be stuck with hollow brick masonry with 2K-mounting adhesive. Because this figure angles are hung directly on the two steel rods and also with 2K adhesive or with a flexible adhesive (adhesive) bonded. In addition, when mounting the balcony angle is also the back side with the adhesive filled and then placed on the threaded rods. In addition, you can still see the entire back of the balcony angle frictionally bonded to the substrate by flexible adhesive. This also available for indoor use in plaster - please ask first! 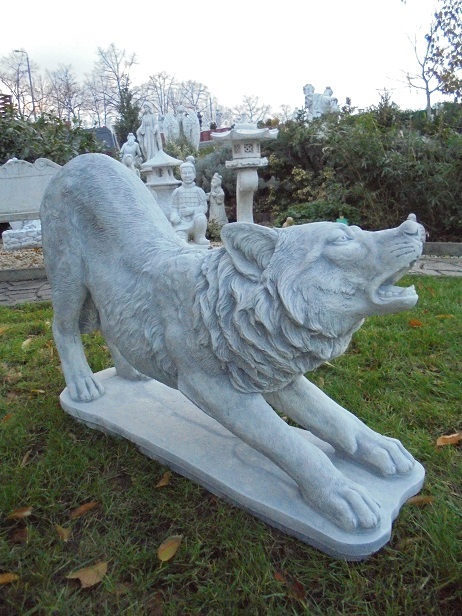 Concrete Art Design can also supply a wide range of garden statues, wall fountains, garden fountains, columns, pedestals, various capitals, outside stucco as a wall piece for the facade renovation, gypsum plaster as an interior stucco monatgefertige balustrades and much more available. A large part of our productline we can deliver to you in different colors (more colors). We make every effort to keep well did this Podukte and materials used at the highest level. Only in this way - from the product a long shelf life and joy is to be expected.